Former Florida Gov. Jeb Bush became a Republican presidential candidate Monday. Education has been a signature issue for Bush. He helped start Florida’s first charter school. He says schools and teachers should be judged on student performance. He pushed for vouchers for private schools. And he spent most of his time since leaving the Florida governor’s office advocating for his brand of school reform. 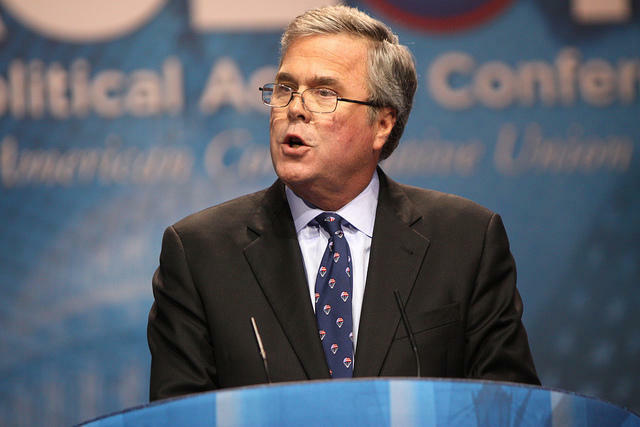 Former Governor Jeb Bush of Florida speaking at the 2013 Conservative Political Action Conference (CPAC) in National Harbor, Maryland. Bush will ensure education is a top issue in the 2016 presidential race. But he's not the only candidate with a strong record on schools. “You have a roster of candidates that are quite strong on this issue from the Republican side," says Michael Petrilli, president of the Thomas B. Fordham Institute, a conservative education think tank which generally supports Bush's version of education reform. Bush is the 800-pound gorilla in the GOP field. His family has already produced two U.S. presidents. He has been raising tens of millions over the past few months as he explores a presidential bid. And he has an eight-year record as Florida governor. To talk about how education will affect the race for the Republican presidential nomination in 2016, you first have to go back 16 years. That’s when Bush, then Florida’s governor, convinced lawmakers to pass his A+ Plan for education. “Another wacky idea in 1999 in America," Bush called it. Set high goals for students. Hold schools accountable for poor performance, and reward those which succeed. And expand school choices for parents and students. Today, Bush’s “wacky idea” has become a blueprint for Republicans across the country. Even President Obama, a Democrat, has praised Bush’s ideas. 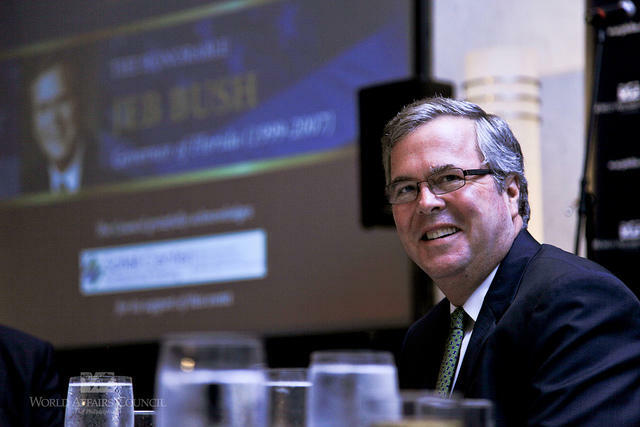 “There’s no doubt that Jeb Bush’s reforms in Florida became a national model,” Petrilli said. “In my opinion, for good reason. That model showed great success in Florida – that kids in Florida made huge gains." Former Gov. 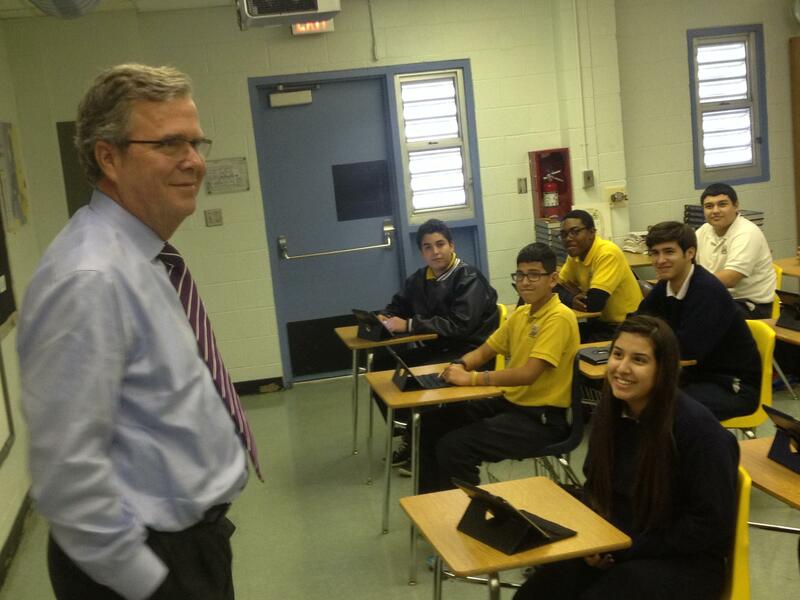 Jeb Bush visited a Hialeah charter school for National School Choice Week in 2014. Education was the issue Bush turned to as he began flirting with a possible presidential candidacy. In February, he spoke at a summit hosted by the nonprofit advocacy and research group he founded, the Foundation for Florida's Future. Bush held firm on a central tenet of the A+ Plan -- test, and use those results to punish and reward -- even as opposition to testing was rising across Florida and the country. But Bush has already learned that talking about education at the state level is very different than talking about education at the federal level. Petrilli says things Republicans might vote for in a gubernatorial candidate can turn them off in a presidential race. Here’s an example. In 2012, then-Texas Gov. Rick Perry felt so strongly about eliminating the federal Department of Education that it was the agency he could remember despite struggling to name the other two agencies he would axe. This year, that conflict is exemplified by Common Core, a set of math and language arts standards fully adopted by 42 states. Standards outline what students should know at each grade -- and usually draw little attention from the public. Common Core has the support of many Republicans and the business community. But Common Core became a rallying cry on the right after President Obama encouraged states to adopt the standards in order to receive millions in federal grants. They believed it was another example of the federal government using money to impose its will on states. They also argue the new standards aren't as good as what some states were already using. “And this is where it gets tricky," Petrilli said. "I think you’re going to hear Republicans talking about some of these ideas: school choice, higher standards as something they support. Few have promoted Common Core as much as Bush. Petrilli says Bush will have to talk about education in a way that doesn’t make voters think "Big Government." At his February education summit, Bush never spoke the words “Common Core.” But he sketched out what Washington’s role should be. According to Bush, that includes encouraging the use of specific standards, curriculum or tests. But while Bush’s support for Common Core will turn off some Republican voters, he’s also given the GOP ideas on education that voters like. The Fordham Institute’s Petrilli says that means Bush isn’t the only likely candidate who can brag about his or her record on schools. 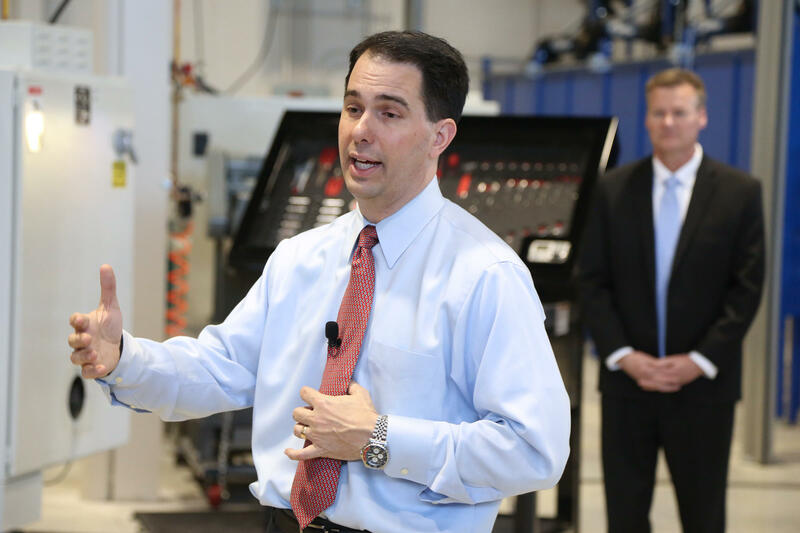 Governor Scott Walker Visits Gateway's SC Johnson iMET Center on Tuesday, March 18, 2014 in Wisconsin. “You have a roster of candidates that are quite strong on this issue from the Republican side,” he said. Wisconsin Gov. Scott Walker, another Republican exploring a possible White House run, earned national attention when he pushed through a law stripping teachers of their right to collectively bargain. He also let workers choose whether to pay dues to the union. Teachers protests filled the capitol in Madison for days. “I took away the gravy train they had before and gave that right back to the workers to make that decision," Walker said in a 2012 interview. And in New Jersey in 2010, after Gov. 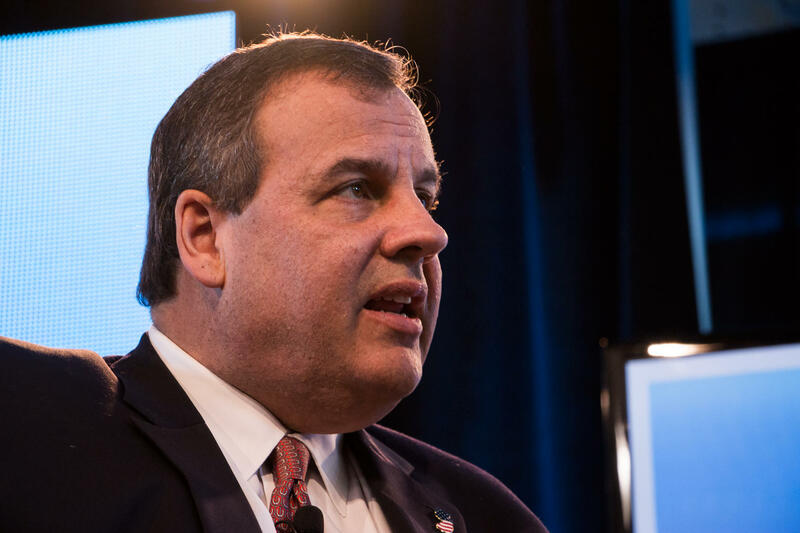 Chris Christie asked teachers to take a pay cut to help balance the state budget. Christie said he asked Jew Jersey teachers to freeze their pay for one year and to contribute 1.5 percent of their salary toward their health benefits for those who didn’t contribute already. "The teacher’s union response was that this was the greatest assault on public education in the history of the state," Christie said, in response to a teacher's question at the time. New Jersey Governor Chris Christie at the inaugural Ag Summit in Des Moines. 3/7/2015. Photo by John Pemble. Christie is also thinking about a presidential run. Yet another possible GOP candidate, Ohio Gov. John Kasich, has supported Common Core and pushed to improve his state’s charter schools. Petrilli says so many potential GOP candidates have a strong record on schools that education will be a much more important this primary. The economy in poor shape and conflicts around the globe dominated the past two election cycles. Petrilli says the split will be most pronounced between the governors and the senators and other members of Congress running for President. Governors are used to having more control over education decisions, he said. While members of Congress --- Kentucky U.S. Sen. Rand Paul or South Carolina U.S. Sen. Lindsey Graham -- will emphasize the limits to what a president can and can't do with federal education policy. Republican U.S. Senator Marco Rubio of Florida says he’s running for president in 2016. Rubio made the announcement to about 1,000 supporters packed into downtown Miami's Freedom Tower. Marco Rubio said the lessons he’s learned as the son of Cuban immigrants will guide him if elected president. “I am humbled by the realization that America – America doesn’t owe me anything; but I have a debt to America I must try to repay,” he says. "This isn't just the country where I was born. America is literally the place that changed my family's history." At dinner tables across Florida, parents and their elementary school children are trying to solve a math problem: What’s going on with my kid’s homework? 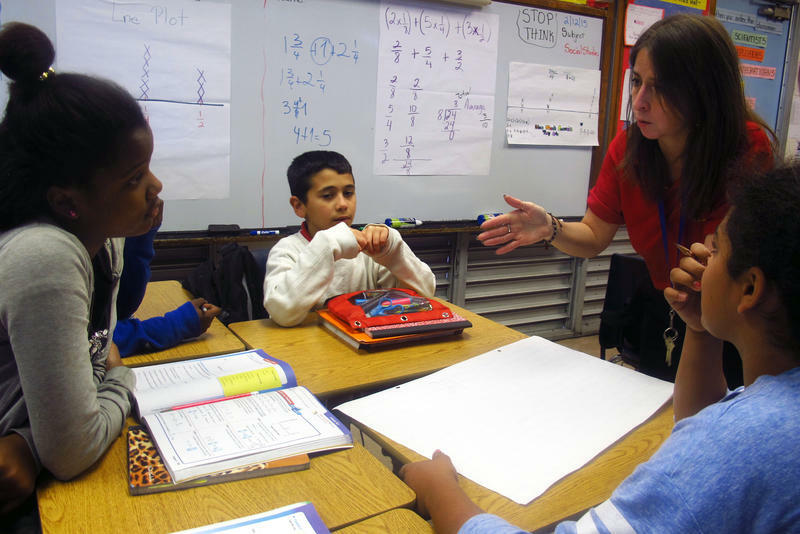 Florida is one of dozens of states that has switched to new math standards based on Common Core. The standards outline what students should know in every grade. Experts say it means big changes to how math is taught. More focus on understanding concepts and solving problems multiple ways. Less memorization of formulas and grinding out worksheets full of similar problems. “Opt Out” groups are pushing back against what they say is too much standardized testing in Florida. The tests are changing as the state transitions to Florida Standards - an offshoot of the Common Core standards being implemented around the country. 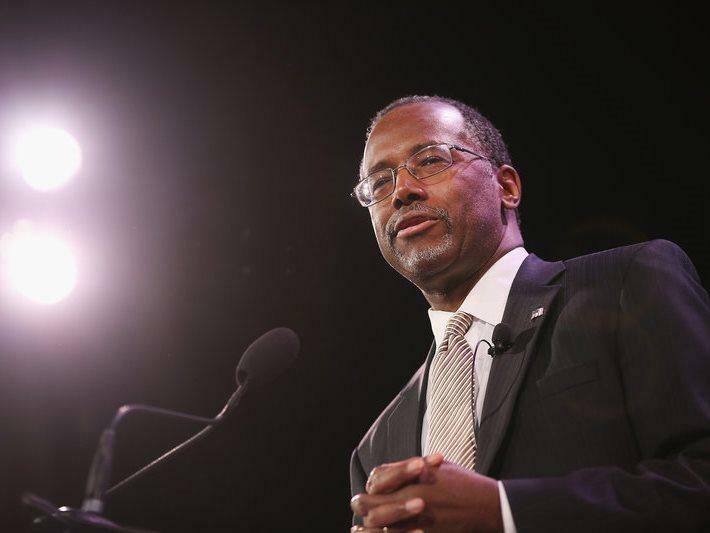 Retired surgeon West Palm Beach resident Ben Carson declared his candidacy for the Republican presidential nomination Monday, resting his longshot bid on his vision of the nation as "a place of dreams" where people can thrive when freed from an overbearing government. Carson, the only African-American in the race, spoke in front of hundreds of people at Detroit Music Hall, a few miles from a high school that bears his name. A choir singing the chorus from Eminem's "Lose Yourself" set the stage.